The infant program begins at six weeks old. To ensure the cleanliness of our classroom, only teachers, caregivers, and parents are permitted in the nursery. Our cozy classroom allows our babies to have a home-away-from home experience so they can develop a sense of family and belonging while at the academy. The nurturing teachers introduce our littlest ones to age appropriate sign language, art, music, and gross motor development activities. Our staff focuses on individual care to ensure that each child’s needs are met. Infant’s developmental milestones and progress is observed and documented through portfolios and assessments. Toddlers are growing rapidly not just physically, but mentally and socially as well. At Angels Christian Academy we find this is the perfect time in your child’s life to experience activities that develop their social skills. Through age appropriate activities, students will get to experience a whole new setting while being a part of a group of other’s just their age. Our teachers implement a curriculum that stimulates their imagination and sense of self. The curriculum also focuses on providing students with early literacy experiences through story time, songs, felt board stories, sign language, and more. Students will also have the opportunity to explore the world around them through hands on science and sensory activities. The teachers carefully observe and document children’s growth and development through assessments and portfolios. Daily reports are also sent home each day to keep you informed on your child’s day. Two year olds are learning and growing at such a rapid pace. Channeling their energy and curiosity of how the world works can be a challenge. That’s why at ACA we offer a nurturing child centered classroom with a positive approach to learning social skills as well as age appropriate academics. While beginning to develop their concept of self, students in our program will learn how to interact in a social setting as they develop self help and coping skills through modeling, redirection, and positive guidance. Student’s begin their day with a fun circle time that includes books, music, finger plays, sign language, and other language enhancing activities. They are also given opportunities for social interaction through exploring dramatic play, puppets, felt board stories, and more! Student’s will be exposed to early mathematical concepts such as shapes, matching, sorting, spatial relationships and sequencing. Math activities are conducted in small groups through games, songs, and manipulatives. Everything is new and exciting to a two year old! Students will experience science concepts to stimulate their senses through hands on activities using sensory tables, objects found in nature, experiments, books, and more! We offer open-ended art experiences that are designed to strengthen fine motor skills, boost self esteem, and promote individuality. Music plays a large role in the two year old program. Students are exposed daily to music to increase vocabulary, develop a sense of rhythm, and to promote creative expression. Developing fine motor skills is an important part in the pre-writing process. Students are provided with a wide variety of materials and activities to strengthen hand muscles. Gross motor development is fostered in and outside the classroom. Students have access to balance beams, bean bags, balls, bikes, slides, and more each day. Students learn Christian values not only through age appropriate Bible stories, songs, and verses, but also in how we treat our peers and conduct ourselves each day. Students learn Spanish and different signs each week that coincide with their classrooms weekly theme. Teachers conduct 3 assessments a year to help develop goals for each individual child. Students progress is documented through portfolios that contain dated samples of each childs work, photos, and art pieces. Portfolios are sent home at the end of the school year to be shared and treasured for a lifetime. Children will experiment with different letter sounds and start to explore characters and plots. They will be read too and encouraged to look through books with peers. Children will be engaged in large and small group activities. They will learn and be expected to follow directions, take turns and develop friendships. Children will sing songs, create art by folding, cutting and coloring. Children will be encouraged to act out lyrics to songs, plays and use their imagination. Pretend play is encouraged with peers. Children will explore number concepts and practice comparing, classifying and measuring. They will also begin to use number lines. Children will practice fine motor skills with puzzles and improve balance through fun activities. Children perform simple experiments, learn about weather and compare personal characteristics. Children explore traditions of other cultures and learn other languages, vocabulary for animals, family members and numbers. Students are provided with a print rich learning environment. Books are read daily in circle time and are followed by discussions to aide in story comprehension. They will also learn letter sounds and recognition with an emphasis on lower case letters. Students also learn how to identify initial and final sounds in words. Students will learn to rhyme, count syllables, and blend phonemes. During learning centers, students are given the opportunity to explore language through dramatic play, puppets, felt board stories, finger plays, books, and games. Most math activities take place with individuals, or in small groups. Students learn math skills such as matching, sorting, one to one correspondence, classification, shapes, spatial relationships, counting, patterning and sequencing, graphing, compare and contrast, number recognition, and measurement. Students learn science concepts through hands on experiences. Sensory tables include something new each week for children to explore. Children engage in science experiments where they are given the opportunity to observe their environment, make predictions, and discuss and compare results. Children are given a wide variety of media in which they can express themselves through open-ended art projects. Art experiences are designed to strengthen fine motor skills, boost self esteem and confidence, and promote individuality. Students will also study the lives, work, and techniques of famous artists such as Van Gogh, Monet, and O’Keefe. Students are exposed to music in class daily and are given the opportunity to learn about instruments, rhythm and tempo, creative movement, and new and exciting songs. Fine and Gross Motor Development: Fine motor development is a crucial part of the pre-writing process. Students are provided with a wide variety of materials to strengthen hand muscles. Gross motor development is fostered both in and outside of the classroom. Indoors students have access to balance beams, bean bags, and many other manipulatives that promote gross movement. Outdoors, students have daily access to our large playground that is equipped with bikes, slides, balls, and more! We feel it is important to pass our Christian values on to our students not only though instructional learning, but also in how we treat our peers and conduct ourselves each day. Students are taught Spanish words nad songs that coincide with our weekly themes and lessons. 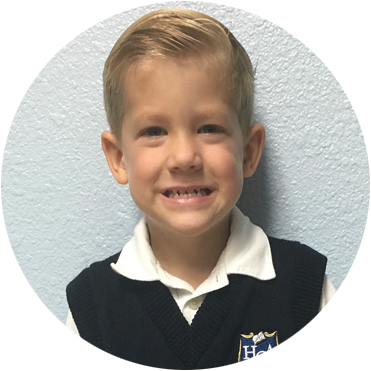 Henderson Christian Academy, a private Christian school serving the Henderson and Las Vegas, NV communities, provides small class sizes and a nurturing family atmosphere. The enthusiasm we have for the children shows in the growth of our students, the loyalty of our parents and the success of our school. We offer families a well rounded Christian education with teachers that encourage and have an intimate sense of each child’s personality and needs.